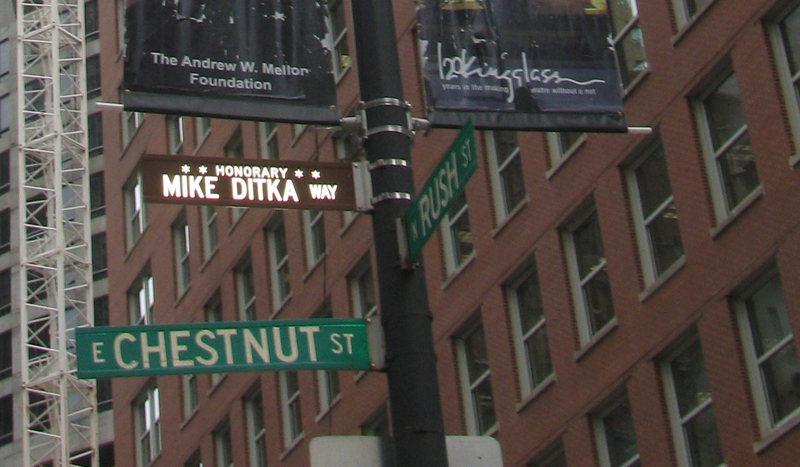 Major changes are being proposed in how honorary street designations are doled in Chicago. Among the changes being considered are providing the honor only for deceased individuals, limiting each alderman to two such designations per year, and requiring $1,000 from an alderman’s “menu money” — funds set aside for discretionary infrastructure improvements — for each sign designation. Anthony Beale (9th Ward), chairman of the city’s Transportation Committee, said he is the fourth chairman of the committee to try to rein in the “out-of-control” designations. Ald. Michele Smith (43rd) said limiting the designation only to deceased individuals is an issue for her and many other aldermen. “I have serious concerns about not being able to recognize the living,” Smith said. “I think that that is something that so many of our communities and our local street signage — as opposed to these high-profile ones — want to recognize the contributions of pastors and sometimes significant teachers and significant community members while they’re still alive. At Smith’s and other committee members’ urging, Beale tabled the street-sign ordinance for a month in order for more discussion on the issue to take place. The proposed changes to the honorary street sign program would also only guarantee signs are posted for five years. 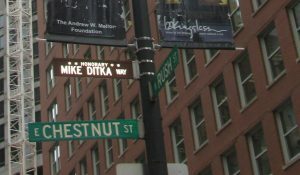 After five years, an alderman would have to give approval to a street remaining named for an individual. Ald. Raymond Lopez (15th) said the $1,000 fee for the signs is one more dent into aldermen’s menu money. He noted that aldermen are already being tapped for $10,000 each in their discretionary spending fund for community art projects. The proposed rule changes bother Lopez. “I am fine cleaning up what we view as sign pollution,” Ervin said. However, he said, the ordinance may go too far and be a “major burden” for aldermen in that they may have to limit requests within their wards. Ald. Milly Santiago (31st) said the five-year timetable for street designations could cause issues. Beale said after five years it would be up to aldermen to renew the designation. If they did not, the signs would be taken down. Smith said the new regulations go too far in targeting past problems that have occurred, such as the city designating Trump Plaza Way as an honorary designation. City leaders opted to remove the designation after leaders felt many of Donald Trump’s comments on the campaign trail were offensive. “We are swatting a fly with a cannon,” Smith said of the corrective measure.